YOUNG and old alike filled Charles Riley Memorial Reserve in North Beach this morning for the 50th Anniversary of the Battle of Long Tan. Wreaths were laid in memory of the 60,000 Australians who served in the Vietnam War from 1962 to 1972. Veteran Terry Newman, who served in the Australian Army 3rd Cavalry regiment South Vietnam said the anniversary of Long Tan was an enduring day in Australia’s history. Mr Newman said it was important that young people attended memorial services to keep the memory alive. 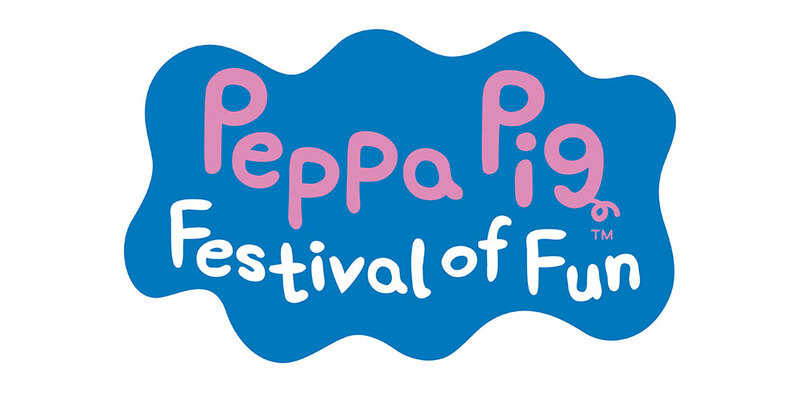 “The service today was very moving and it was good to see so many children participating,” he said. 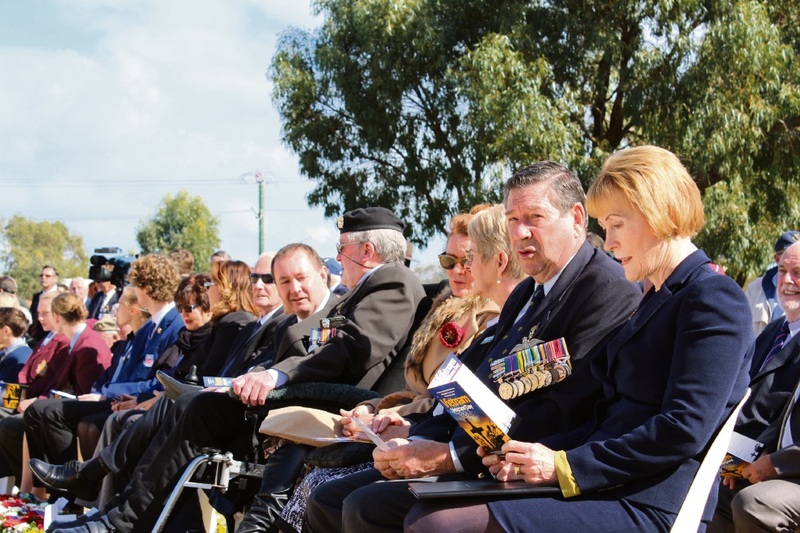 WA Governor Kerry Sanderson recognised the 60,000 Australians who served in the Vietnam War and the 521 young men who lost their lives. “Vietnam was the longest 20th century conflict in which Australians participated,” she said. Ms Sanderson said the battle of Long Tan told of the courage, discipline, camaraderie and mateship of those who served. “It is a pity that so many Australians – particularly those opposed to Australia’s involvement in Vietnam and conscription – took so long to understand what it meant to serve your country in good faith,” she said. 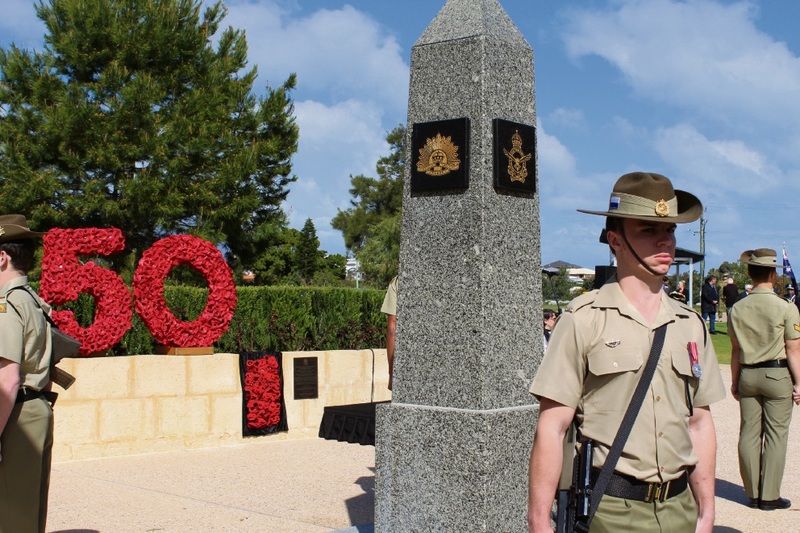 “Those who served inherited the Anzac tradition forged at Gallipoli yet it took time for that to be recognised. Veterans Affairs Minister Joe Francis said it was important to recognise the 61 West Australians who lost their lives. 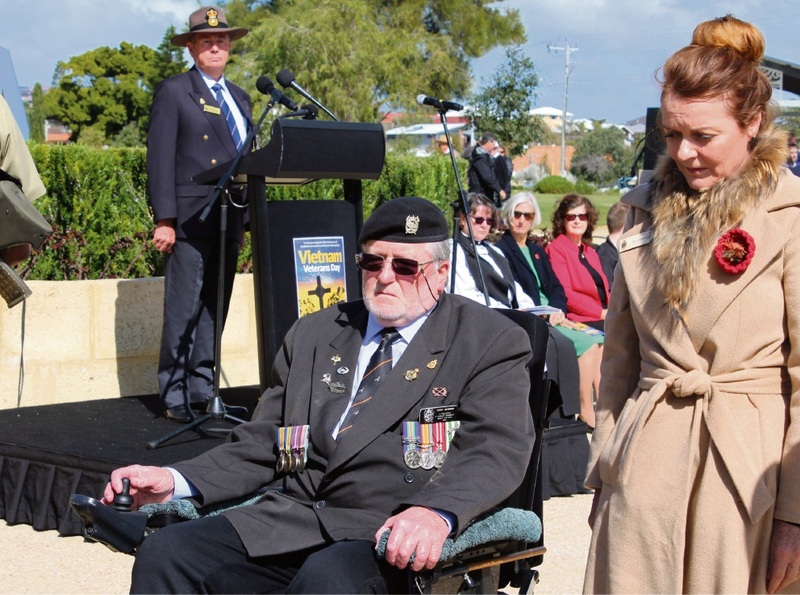 “If you go to Kings Park Vietnam War memorial, you’ll see the name Raymond Hunt, he was from Geraldton and he died in 1961 when he was 27 with my Dad standing next to him so I know the stories,” he said. “I’m still very close to the Hunt family and we talk on a regular basis and I know the burden that they still carry because of that conflict. The WA Returned Services League (RLS) has spoken out over a decision to cancel the Vietnam Veteran’s Day ceremony. The Vietnamese Government cancelled the August 18 event at the last minute which would have been held at the Long Tan battle cross site. RSLWA CEO Philip Orchard said the RSL was “extremely disappointed”. “There are hundreds of veterans visiting Vietnam who will be unable to commemorate the 50th anniversary as they planned and to honour the 521 Australians who gave their lives during the war,” he said. Mr Orchard said the Australian Government had worked closely with Vietnamese authorities for 18 months to prepare for the event.